(10/P144) TRENTON – They worked countless hours pulling car tires from the Passaic River, managing open space, spreading the word about environmental well-being, and now they’re being honored this evening for their commitment to protecting the environment in New Jersey. Thirteen individuals, organizations and companies will be recognized for their outstanding environmental performance, programs and projects during the Governor’s Environmental Excellence Awards ceremony to be held at the New Jersey State Museum in Trenton. The program is scheduled to begin at 5:30 p.m.
"The projects and individuals being honored tonight exemplify my administration's commitment to protect the environment," Governor Christie said. "We can all learn from these folks who are taking a look around them, seeing things they want to improve, and doing something about it. They are community leaders who are preparing our state for environmental success and I'm proud to recognize them for their efforts." Tonight’s award recipients will join more than 100 businesses, individuals, municipalities and institutions that have been honored for their environmental contributions to the state since the program’s inception. To learn more about the awards program, visit www.nj.gov/dep/eeawards. Since 2007, Shiseido America Inc., a subsidiary of the Japanese cosmetics corporation, Shiseido Company LTD, has cut their reliance on traditional electricity sources by 80 percent through installation of solar collectors and by replacing inefficient boilers and lighting. These improvements have helped Shiseido eliminate production of more than 1 million pounds of carbon dioxide in the last 12 months. The Rutgers Master Gardener program is designed to increase environmental awareness and stewardship through availability of University-based horticultural information to local communities and individuals. Active in 18 counties throughout New Jersey, the program has developed and enhanced many community programs related to gardening, horticulture, and environmental well-being. In the spring of 2009, Fernanda Lois had the idea to hold a river clean-up along a portion of the Passaic River. She enlisted the support of her crew coach and teammates and, after finding a sponsor, was able to host a river clean up event in April 2009. Volunteers more than filled a 20-cubic yard dumpster with trash pulled from the river and off the riverbank. 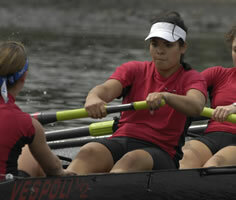 In 2010, she was able to expand the event by including other high school crew teams. Student Derynn Paige Scine and her teacher Lisa Marie Perini of Immaculate Heart Academy High School are recognized for their efforts in turning around a dormant environmental club. Their successful projects include: distributing biodegradable shopping bags in the community; raising environmental awareness at their school, resulting in a reduction in solid waste generation; tree planting and community-wide cleanups. North Jersey Resource Conservation and Development (RC&D) Council is a six-county non-profit organization in northwestern New Jersey. The New Jersey RC&D Council is recognized for its leadership and efforts involving an ecological restoration project along the Walnut Brook in Mine Brook Park and on the Hunterdon Land Trust Alliance Dvoor Farm in Raritan Township Hunterdon County. The Hoboken Brownstone Co. is recognized for its Van Leer Place (VLP) green-building development in Jersey City. Van Leer Place is a seven-acre redeveloped Brownfield site in downtown Jersey City approved for 482 apartments and 7,500 square feet of retail, with buildings capable of 50 percent to 90 percent energy savings when compared to standard buildings. The Franklin Township Open Space Committee is recognized for its efforts in helping the township acquire and manage open space. Currently, more that one-third of the township’s property --9,386 acres of a total of 28,049 acres -- is being preserved either as open space, parkland or farmland. This partnership is being recognized for its "Millburn Green Challenge" program for fostering community-wide environmental awareness and action. This community education program has resulted in more than 1,700 separate pledges to reduce their carbon footprint through energy conservation, composting, and purchasing locally grown food, among other things. Over the past few years, the Duke Farms Foundation has restored 9,000 linear feet of shoreline, installed floating islands, enrolled more than 500 acres in two federal programs to ensure the long-term preservation and restoration of wetlands, and the riparian and wetlands corridor that fronts the Raritan River. The Borough of West Long Branch is recognized for its program to restore Franklin Lake. The township removed approximately 54,000 cubic yards of silt material that had been negatively impacting aquatic stability, water quality and capacity. To prevent future problems, storm water inlets were re-designed to prevent silt from entering the lake. Fred Profeta, Deputy Mayor for the Environment in Maplewood, is recognized for his leadership and emphasis on the environment, including the construction of a new LEED certified police station, a railroad commuter jitney program, programs to foster bicycle transportation, purchasing of biodiesel fuel for municipal vehicles and revamping of the Township’s recycling program. Andover Township is being recognized as a leader in stormwater management for implementing innovative solutions, comprehensive maintenance and creating public awareness of stormwater issues. The municipality repaired and improved maintenance at seven stormwater basins, which restored proper function and enhanced storm water infiltration and water quality. Somerset County is recognized for its effort to map stormwater outfalls and provide technical assistance to municipalities within the county. The county received a grant to purchase five Trimble GPS units and 10 ArcMap software licenses to help towns map their stormwater outfalls and comply with the New Jersey Pollutant Discharge Elimination System Municipal Stormwater Permit program. Somerset provided training and assistance on use of these GPS units and developed a GPS application to improve mapping efficiency. Fernanda Lois couldn’t stand to see the trash piling up around her. 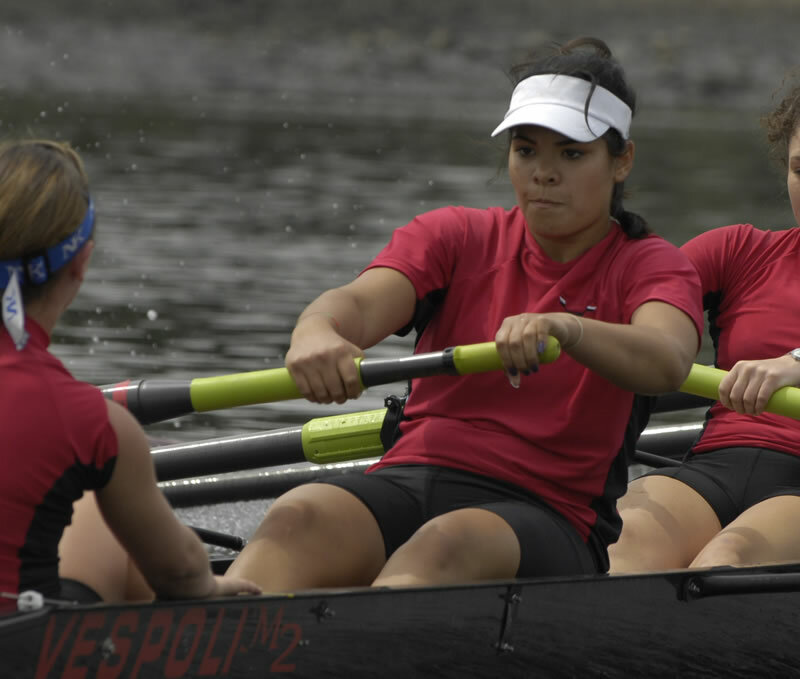 After two seasons of rowing crew for Kearny High School, she decided to organize a cleanup effort to pick up trash and debris that had accumulated along a portion of the Passaic River, where she rowed. Her effort caught the eye of the judges for the Governor’s Environmental Excellence Award. Lois is a co-winner in the “Environmental Education & Student Activities” category. After speaking to her coach, David Paszkiewicz, and team about her plan, Lois contacted the Passaic Valley Sewerage Commission about her cleanup idea. The commission supplied her with trash bags and a trash bin, which the team filled past capacity. Volunteers collected an assortment of items, including car bumpers and shopping carts. After the initial cleanup in 2009, the team’s coach brought recycling bins to the boathouse. This year, two nearby crew teams put competition aside and joined Lois’ team in the cleanup. Today, Lois is busy planning her third cleanup and she’s taking it step further. She said she’s planning for two cleanup efforts this spring. While she’s leaning towards pursuing a degree in political science, Lois said she’s plans to attend college nearby so she can come home to lead future cleanups on the Passaic River. They call her “Eco-Gal.’’ And rightfully so. When Derynn Paige Scine isn’t focused on schoolwork, she’s thinking up ways to advance Immaculate Heart Academy High School’s Green Revolution Club. While the Franklin Lakes resident has been president of the club for the past two years, Scine said she’s always had a passion for the environment, which started in middle school. The senior, who’s leaning towards studying biology or genetics in college, is credited with revitalizing the Bergen County high school’s dormant enviromental club. It’s her commitment to that effort that stood out to judges and earned her an honorable mention in the “Environmental Education and Student Activities” category. The 70-member club meets on a weekly basis. Scine challenges members with hands-on initiatives in attempts to engage the entire school. They’ve spent the past two months on a project entitled “Beauty and the Toxin.” Members examined how different beauty and hygiene products affected people as well as the environment. They presented their findings to the rest of the student body and plan to feature the issue in television segments on their school’s broadcasting channel. Scine’s work has also caught the eye of Bergen Community College. She’s been awarded two separate $1,000 grants for her environmental initiatives. This year, she wants to help the school install sensor lights in every bathroom to reduce energy waste and develop a nature trail behind the school.